Gambling, especially sports gambling, has always had a get-rich-quick scheme reputation to the general public. As if it’s simply playing the lottery with inside information. And if this is the attitude of players new to sports gambling, they’ll quickly learn otherwise. After all, the buildings in Vegas keep getting taller and it isn’t because the sportsbooks are losing money. No, sports gambling, like any financial endeavor worth attempting takes time, practice, and patience. There is plenty to learn to say the least. There’s the general sports knowledge you’ll need that goes way beyond simply being a fan of the game. There are the simple things like wagers, odds, and point spreads. And then there are the strategies you’ll need to employ to really maximize your profits. Experienced sports gamblers know it’s all quite the undertaking and it definitely isn’t easy. One conundrum most sports gamblers, old and new, face is when to wager on a heavy underdog. Most gamblers play favorites. It only makes sense after all, a favorite will probably win the game. However, money line wagers don’t pay out well on heavy favorites and playing the point spread is the great equalizer and much tougher to call. Plus, to make it all the more interesting, heavy underdogs do come in. So, when is the best time to play that heavy underdog and cash in on a big ticket. There are optimal times to play a heavy underdog, so here are three pointers to do just that. If there is one thing the oddsmakers know better than the sports they create lines on, it’s the gambling public’s gambling nature. For instance, there are two wagers the gambling public is in love with and wager on much too often, the favorite and the over. Time and again, day after day, year after year, this has always been true. The reason for this is because the favorite and the over seem like safer bets. Sure, this is gambling we are talking about but gamblers still prefer to play it safe when there’s money on the line and favorites and the over seem just that. However, it is important to realize that if anyone is privy to this information, it’s the oddsmakers. And they adjust accordingly. Point spreads and odds are not set to handicap the game and level the playing field. They are created to entice you to place a wager. Knowing that the oddsmakers are stacking the deck against the gambling public’s nature makes betting heavy underdogs the much easier to do. 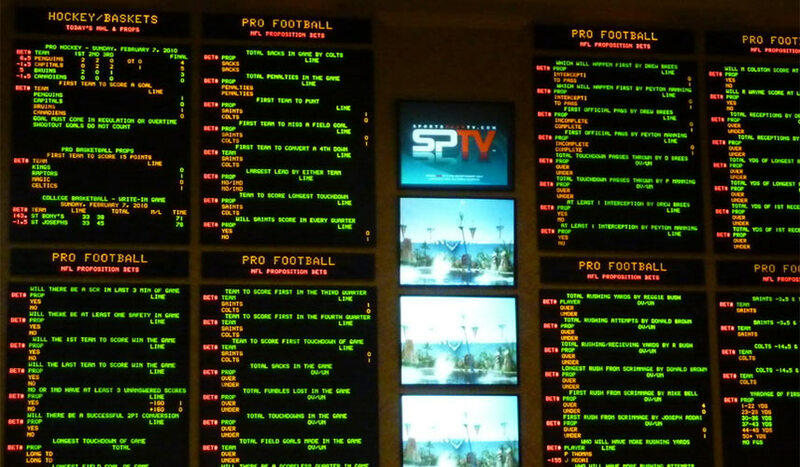 Betting against media hype and the general gambling public is a strong strategy to employ. Gamblers call it “fading the public” and it can bring in major returns. Before placing a wager, check to see where most of the action on a game. You can do this on most online sports gambling sites, handicapping sites, or even by just watching the way the line moves. Is the favorite receiving all the attention and the action? Has the line adjusted to give the underdog even more points? This is a great time to take the dog. Favorites and overs are already set to favor the house so when you wager on the dog, you are essentially betting with the house. The house does well for itself and this is a great underdog wager. Even the best teams lose and often times it’s due to the dreaded trap game. A trap game can occur quite often in the course of a season, no matter the sport. This is when there’s a bump in the road that is their schedule. Simply put, it goes like this. At some point during a good teams schedule, they will have three games in a row featuring another good team – a bad team – then another good team. The good teams could just be highly ranked or maybe they are bitter rivals. For whatever reason, all of the focus will be on the two games against the good teams leaving the game against the bad team an afterthought. Yeah, that middle game versus the bad team, that’s the trap game and it’s a great time to wager on the heavy underdog. The idea is that the favorite just isn’t concentrating on this game as much as they should be and it’s the perfect time for the underdog to strike. And this happens in every sport no matter how long or short the seasons. College football and the NFL are the easiest to pick up on due to their short seasons. But you can find the same thing in NCAA basketball, the NBA, or even the NHL. The trap game is always dangerous for the heavy favorite and a great time to wager on the heavy underdog.